Sure, they are both in their sixties, compose, play guitar and sing on stage. But while you can bet ALL of Mike’s fans have heard of Bruce, the number of Bruce’s fans who have heard of Mike can probably be counted on the fingers of a clumsy sawmill operator. And yet they do have one other thing in common – the FOUR HOUR CONCERT. I do not have to tell you the history of the man they call “The Boss” – but a few words about Mike might be instructive. He came from a background of Folk and eventually became a multi-instrumentalist, composer, author, poet, playwright, vocalist, stand-up comedian, traveller, broadcaster, filmmaker – you name it. And for a decade or more, these two men anonymously beavered away on opposite sides of the Atlantic, learning their trades, each undoubtedly unaware of the other’s existence (Bruce is probably STILL unaware of Mike’s existence). However, while their musical styles might have nothing in common, their performing styles DO. Both men will keep going for as long as their audience wants to hear more (subject to the venue’s staff ALLOWING them to). 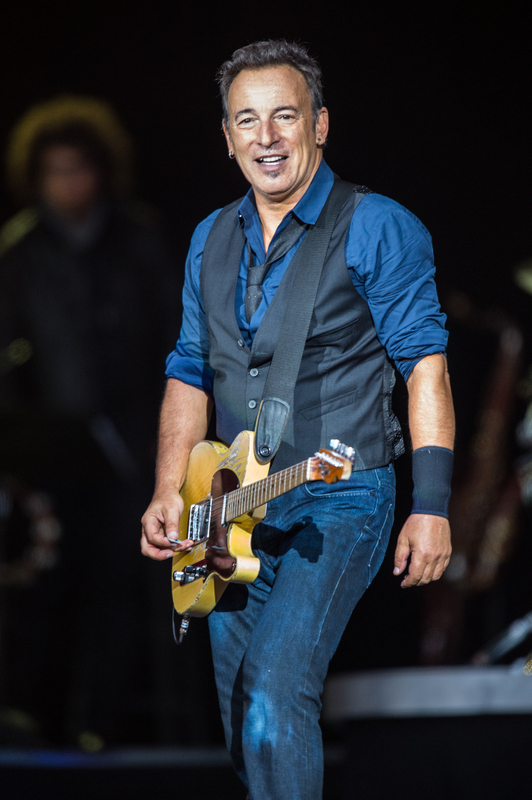 Bruce – along with his legendary East Street Band – is FAMOUS for performing four hour concerts. A fact he recently admitted to, on Fallon. 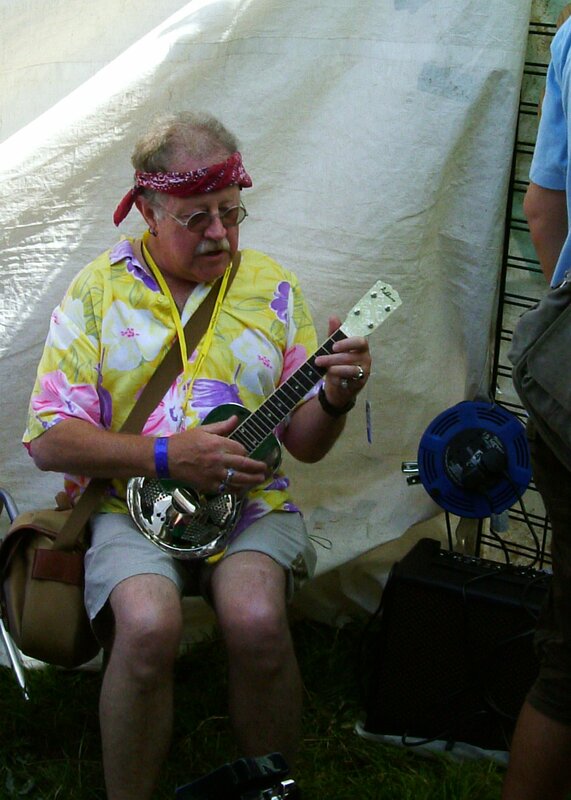 And I recall attending Mike Harding’s one-man-show (a one-nighter at the Dominion, Tottenham Court Road – a BIG West End theatre) where he was scheduled to do just ninety minutes, a half-hour interval, followed by an hour or so. Total two-and-a-half hours, which in itself is quite a marathon for one bloke. But in the event, he returned from the interval after just twenty minutes – while the audience were still returning to their seats – and with the house-lights still up, said he was bored sitting in his dressing room and carried on with the gig. The engineer dimmed the house-lights to half-level for the first ten minutes, then faded them out once the auditorium was full again. The second half lasted TWO-AND-A-HALF hours, instead of the planned ONE. Sat alone in the middle of that BIG stage, Mike performed everything he KNEW. So why bother – when “superstars” with decidedly LIMITED repertoires get paid a FORTUNE for doing a medley of their HIT, followed by a selection from their latest album and a couple of (planned) encores? Because Bruce and Mike have spent DECADES developing their crafts and LOVE WHAT THEY DO. They are what showbusiness is all ABOUT. Some (me for instance) get to be an also-ran kind of man; a rotation-shift working clocker-in-and-outer, a broke-by-Tuesday sad lad. But these guys have born-in, built-in TALENT! Just their good luck, we might say, and we would be correct. But, you have focussed in on the truly great show biz attitude. Do they give value for hard-earned money or WHAT! That is the sort of good sport of a bloke that can’t be bought or taught. After all, they don’t HAVE go the extra time but they DO. I wonder if they feel guilty about having so much talent whilst the poor slobs in the seats or the stands are only good at clapping and cheering? Actually, you are not so bad at YOUR self-appointed task, which is actually a vital aid to the biz over time. How many super artists in music, including singing, are forgotten because they died, or because their work got lost, or because their recording medium did not survive? I recall someone asking Kenny Everett if he played an instrument. “Sadly, only the gramophone,” he replied. And that’s me too. While I have a great appreciation for the creations and creators of The Business, I long ago realised that like most people, my brain ain’t wired that way. Keyboards? I am note blind. Oh, I can SING – but expressing music via an instrument defeats me. However, having accidentally become one of the creators of YouTube’s unofficial universal archive, I have, like Ken, become a TRANSMITTER of creative talent. A DJ and VJ. With 90 million listeners/watchers. It’s as close as I’ll ever get. Note: last week, they dressed up the marquee of the Ed Sullivan theatre – where Dave Letterman is recorded – to resemble how it looked when the Beatles were first presented to America, exactly 50 years ago. Third on the bill was Tessie O’Shea. Dave didn’t know who she was, but of course Paul Shaffer did. So when I checked, it did NOT surprise me to discover my upload of her – had received a SPIKE! Sorry but I do not know who Paul Shaffer is, or was. I watch very few shows like the Tonight one (although I did listen to Carson via AFN, back then). Oh, wait a minute – aka half a mo. I expect PS is the guy who sits on the side and laughs, fills a gap, or generally provides a safety net against the star of the show tripping up or drying up. Ooh – OUCH! My dear chum, Mr Shaffer is indeed Dave’s sidekick – but he is also a famous musician, composer, orchestrator, arranger and music producer – he’s a LEGEND in America (check out his Wiki page). And his contribution to Dave’s show, whilst APPEARING to be inane (that’s just a CHARACTER) is actually a valuable part of Dave’s whole comedic style. Paul is as essential to Dave as Ernie was to Eric. A good sidekick’s role is SUBTLE – kinda like the score in a movie (which may explain why musicians do it best) – it enhances, while remaining in the audience’s subconscious.